2017 represented a record year for Italian M&A in terms of deal count. 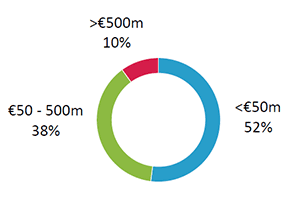 Much of this has been driven by inbound M&A in the middle-market, deals with an enterprise value of €50 – 500m. Italy has thousands of family-owned companies, with proven business models and competitive positions in their global addressable markets. Foreign strategic buyers and private equity (PE) firms are increasingly attracted to Italian companies with a global customer base. 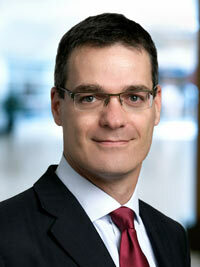 Baird discusses the drivers and outlook for cross-border M&A into Italy. 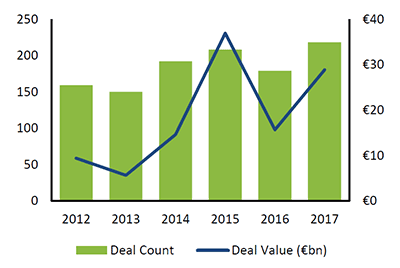 Inbound M&A in Italy accounts for a third of deal count and half of disclosed deal value of overall M&A activity in Italy since 2012. The vast majority of M&A investment targets Northern Italy, where the country’s financial centres and industrial hubs are located. For example, Lombardy is one of the wealthiest regions on the continent as well as one of the “Four Motors for Europe”, a transnational network of highly industrialised and research oriented regions. 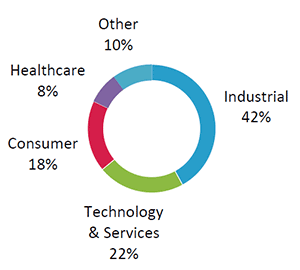 Source: Dealogic (2012 – Q1 2018). Italy ranks in the top 5 of countries with a manufacturing trade surplus exceeding $100bn and is the second largest manufacturing country in Europe. Many industrial companies have invested significantly in automation for their production processes in Italy and set up new facilities in emerging markets. 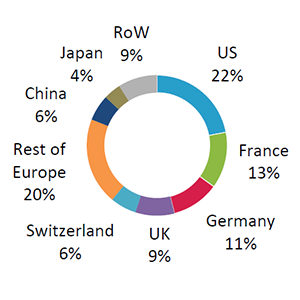 Foreign acquirers therefore benefit from relatively low labour risk in Italian targets as well as local manufacturing in fast growing markets such as China. The average M&A valuation for inbound Italian transactions is 10.2x EBITDA, higher than domestic and outbound M&A deals. 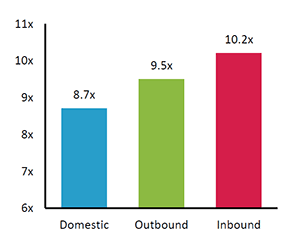 The global buyer universe is driving competitive tension and higher valuations for inbound M&A. Corporates from all regions acquire in Italy. Relatively low organic growth levels and the increasingly global focus of corporates are driving cross-border M&A. In most cases, the rationale of strategic buyers for M&A is to acquire a product / technology, build out an existing platform and / or access new geographic markets. Mid-market acquisitions in Italy tend to bring a key strength or capability that the strategic buyer does not already possess. 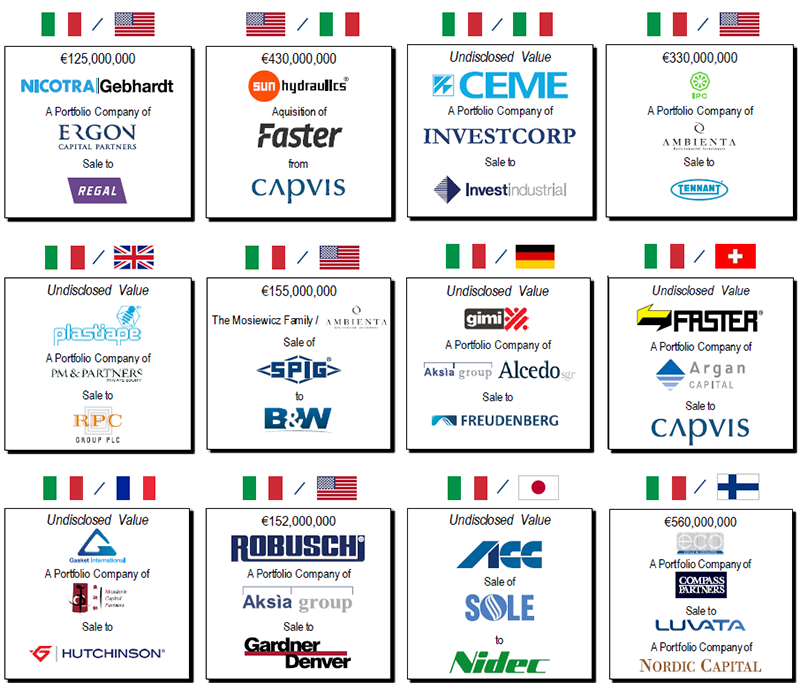 The US represents the most active acquirer nation in Italy and industrial represents the most active sector. 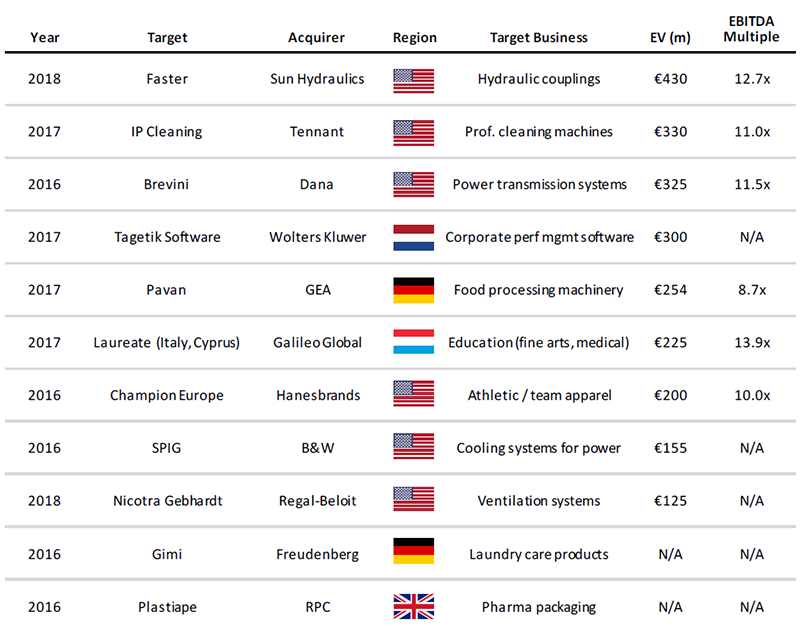 Italian mid-market industrial companies, similar to the Mittelstand in Germany, tend to have innovative technology and hold leading worldwide positions in their niche markets. Their export focused sales and distribution networks provide US corporates access to new markets, geographies and customers in Europe as well as in emerging markets. 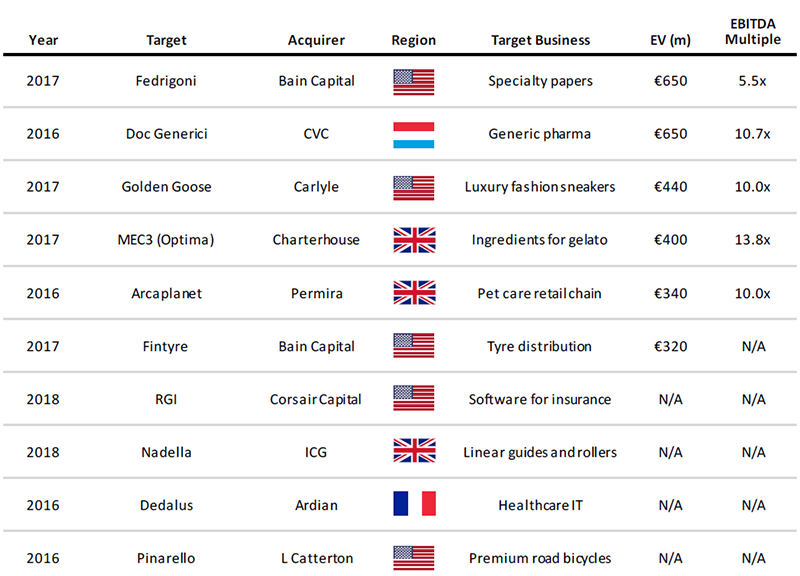 US strategic buyers have shown their success in sourcing relevant Italian targets, allocating resources for due diligence and realising synergies post acquisition, often by applying their group level “business system” to targets. There remains a significant opportunity in Italy to optimise assets, especially for private equity. Family-owned businesses in Italy employ 70% of the country’s workforce and over 60% of these businesses are still managed and run by family members, compared to just 10% in the UK. Such targets can benefit from PE ownership in their journey towards professionalisation and scale. This could include the implementation of robust internal processes and financial controls as well as funding for capital expenditure and geographic growth. PE firms can also bring in new management teams and address succession concerns for family run companies. 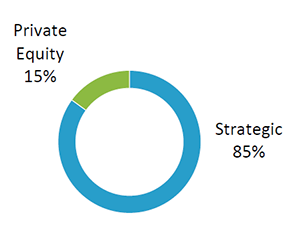 Many PE firms are under increasing pressure to deploy capital after successful fundraisings in recent years, but are struggling to find high quality targets at acceptable valuation levels. As a result, Italy is receiving more attention from PE firms, whether or not they have an Italian office. In particular, there has been growing inbound activity by Transatlantic and Pan-European PE firms to further globalise Italian companies and execute buy-and-build strategies. Recent regulatory reforms have enhanced the financing options available to PE firms. Favourable tax regimes and exemptions from withholding tax on interest payments were made available to support leveraged buy-outs (LBOs) in Italy. Furthermore, PE firms are no longer restricted to financing from domestic banks for Italian deals as authorised European alternative investment funds (AIFs) are allowed to invest in credit (including direct lending) in Italy. Italian companies remain attractive M&A targets for strategic buyers and PE firms despite the country’s inconclusive election. A stronger economy has also made Italy more appealing for inbound investment. The country’s GDP growth, debt markets and government bonds have all shown continued recovery in 2017 and Q1 2018. Buyer interest and valuation for high quality Italian companies, as well as the country’s economic recovery, in 2018 are unlikely to be undermined by current political uncertainty. Foreign M&A investors are typically not looking to acquire Italian companies to target the local market, but use them as platforms to create larger global businesses. 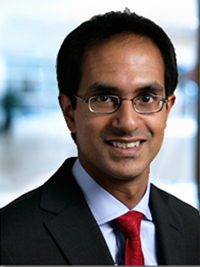 Baird is a leading employee-owned middle-market investment bank since 1919. 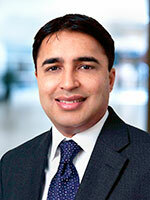 Our Global Investment Banking department comprises 300 professionals across the US, Europe and Asia. We operate in a fully integrated manner, on one global P&L, to leverage the collective strengths of our M&A and Debt advisory capabilities. Baird has a strong and growing track record of providing great outcomes for our clients, including the following Italian M&A transactions. The sale of IPC to Tennant was honoured as the “Mediterranean Deal of the Year” at the 2018 Private Equity Awards. 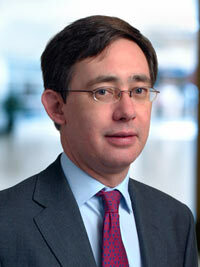 Robert W. Baird Ltd. is authorised and regulated in the UK by the Financial Conduct Authority.